RARE! Tremendous opportunity to buy a home in the desirable neighborhood of Exton Station on Coach Hill Court. 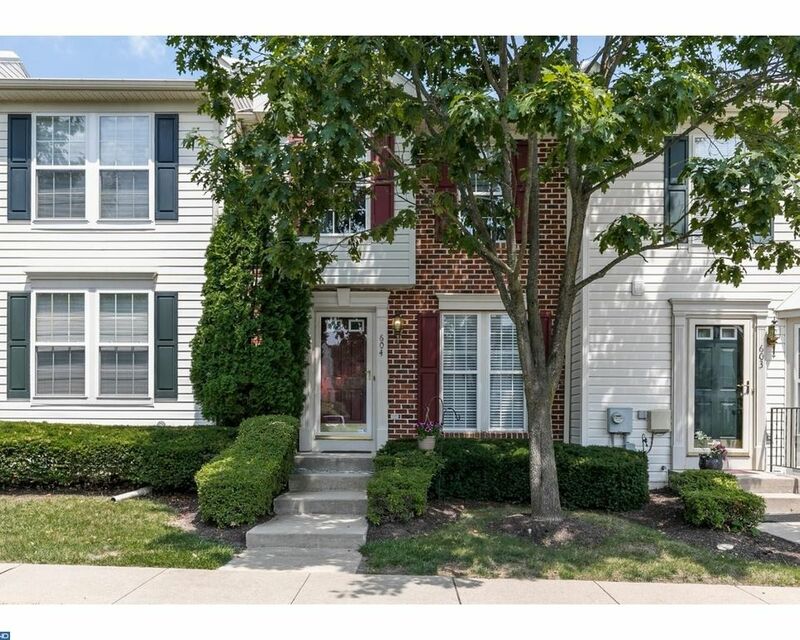 This brick front townhome is nestled within the community and backs up to open space and woods. Enter into the home and see the open flow of the spacious living room as it flows into the large eat-in kitchen. The main level is adorned with hardwood flooring throughout and has been freshly painted. The kitchen is perfect for entertaining as it offers both space and sunlight and also features a brand new dishwasher and plenty of counter and cabinet space. A sliding glass door opens to a picturesque view of trees from the deck. Enjoy coffee in the morning, drinks in the evening or barbecuing from this ideal location. Upstairs you will find a roomy master suite, with a large closet, and attached bathroom, all that has been freshly painted in a neutral palette. Across the hall is the second bedroom, which is also ample in both size and closet space. The full hall bathroom divides the two bedrooms and offers convenience for all. And wait!.......there is more! The full, finished walk out basement is the retreat you have been dreaming about. It is a perfect blend of finished space for enjoyment and plenty of storage space for your seasonal items. This area has also been freshly painted and offers tremendous light for a basement and an area where the washer and dryer are neatly tucked away. There is a door that leads out to the rear yard, which can be set up for a perfect additional outdoor entertaining space. Included is full access to the clubhouse, community pool and tennis courts. Close to major roads Rt. 30, Rt. 100, Rt. 202 and PA Turnpike, restaurants and shopping, and the Chester Valley Trail. HOA covers exterior maintenance, roof, trash, snow and lawn care. Relax and enjoy the maintenance free exterior lifestyle!